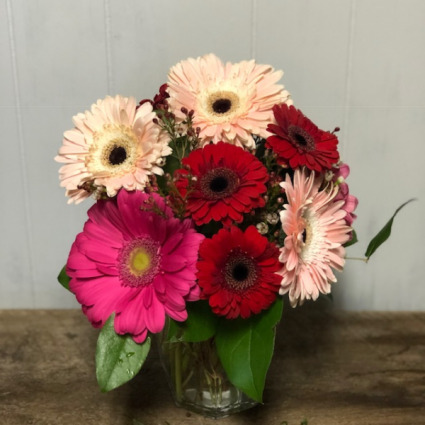 Sweet and fun, this lovely bouquet will delight any Gerbera Daisy lover! Prism style vase, assorted Valenines gerberas and wax flower fill. This pure white bouquet of Casa Blanca lilies makes an elegant statement as a perfect floral tribute, centerpiece or decorative arrangement. These lovely lilies also leave a soft fragrance in the air. Show loved ones that you care with fresh flowers from BEARTOOTH FLORAL & GIFTS.